Holiday gift sets and gift cards now available! Celebrate the Holidays with radiantly healthy skin! This beautiful gift set comes in a vibrant re-usable gift box and is filled with travel-friendly Trilogy essentials. We will be open on Sunday the 9th and 16th. Book all your appointments ahead of time as we will be taking a break from December 27th – January 2nd. Appointments available starting January 3rd, to kick off 2019 with beautiful glowing skin. We’ve got new inventory! 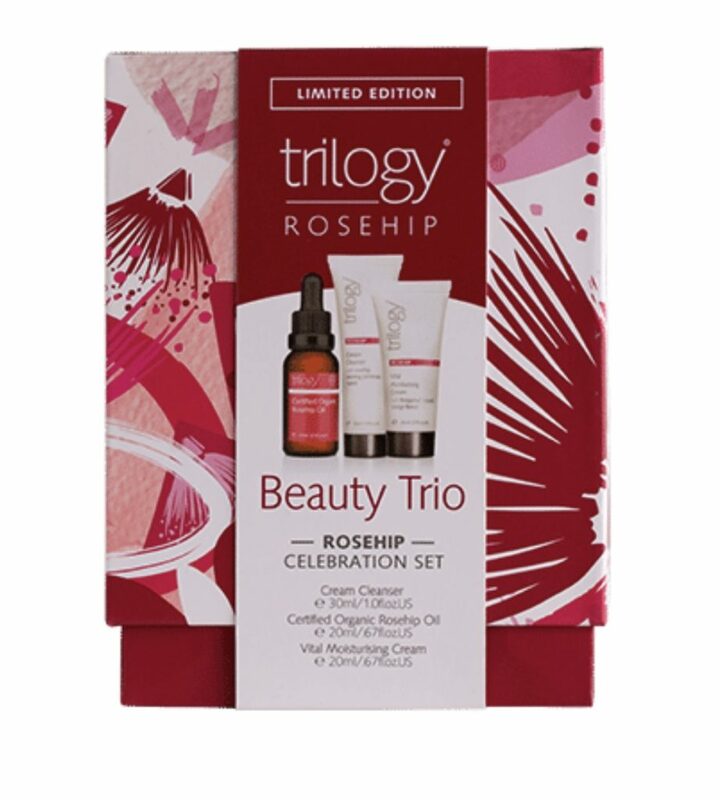 All Trilogy essentials, cream cleaners, rosehip oil, COQ-10 eye recovery, and balancing face lotions are available. We have Gift Cards available in-store and online. Give your loved ones a Rejuvenate gift card to start their new year merry and bright! October 12, 2017 October 12, 2017 by Evelyn, posted in Gift Card Deals, Product sales + GWP offers! We have some sweet Gift Card deals that will put a smile on your pretty face. 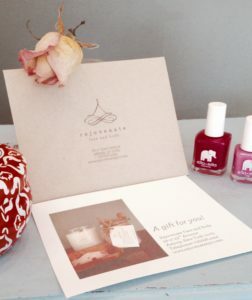 1-Buy a $75 G.C and receive a FREE Ella+Mila nail polish. Enjoy a 20% discount on a microderm treatment from now through the end of the month! Treat yourself to this non-invasive, rejuvenating, result-oriented treatment this fall! Results: Beautiful, healthy and youthful skin! This treatment will Brighten dull/tired skin, even out skin tone and texture, lighten hyper-pigmentation and reduce acne & acne scars while stimulating collagen production. Treatment also reduces fine lines and wrinkles. Enjoy! You asked, we listened! Our Trilogy deal has been extended for a few more days! Take 25% off your Trilogy purchase through Saturday, October 14th.